Houses vs Land - Number of Parcels Comparison. 1,000s more viable house transactions in any given market than land. Both great money makers. Jack Butala: Welcome to the Jack Jill Show. Entertaining real estate investment advice. I’m Jack Butala. 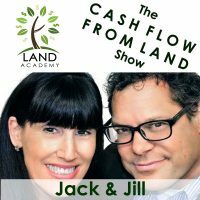 Jack Butala: Today, Jill and I talk about houses versus land. The number of parcels in any given county. How many houses are there, how many land parcels are there? This is a numbers kind of show, Jill. Jill DeWit: Are you preparing me? Is that what the point? Jack Butala: Yes, I am. Jill DeWit: Do you have some caffeine over there? Do I have some safety pins to jab in my fingers to keep me awake or something? Jack Butala: Where did that come from? Jill DeWit: I don’t know. No, it came from that Carol Burnett thing I was watching. Jill DeWit: I don’t know if I talked about that on the show or not. Okay. So, I was watching the, I found a Carol Burnett 50 year anniversary show, and everyone, everyone, I’m not that old. My parents watched it. So, anyway, so my point is … I just think she’s cool. I still watch old stuff anyway, I think it’s really cool. So, she was talking about one of the skits that she would do with Tim Conway where he was a business man and she was his secretary, the ditzy, had the answering where she plugged in the stuff and wore the headset to answer the calls and all that good stuff. [crosstalk 00:01:23] Mrs. Wiggins. That was her name, Mrs. Wiggins. So, she talked about how the way that they did their stuff, kind of like our show where stuff was not really rehearsed and either way, Tim Conway, whatever he would rehearse was not what he would come out with. Jack Butala: This is like our show. Jill DeWit: He would totally, right? So, all the rehearsal stuff, and then he would at the live time, he would totally change it up in how he acted, how he played things out, things he said, it was hilarious. Well, every time on the show, it looked like she was biting her nails. She would like, and we all thought it was part of the character, Mrs. Wiggins, that she would be like, “Uh-huh,” like filing her nails and then biting off a piece like of a hangnail or something, when in reality what she was doing was biting down on her finger to keep from laughing. Jack Butala: Oh, I see. Jill DeWit: -to keep from breaking out into laughter because he was so darn funny. Jack Butala: Versus the pain that this show causes you to do. Jill DeWit: Yeah. So, like that. Like Carol Burnett had to do to keep from laughing, I will have to maybe, it was just kind of a joke that if I started to fall asleep, I could poke myself. So, I won’t fall asleep, Jack. You know that. Jack Butala: That was, with our number three kid, we just went and got our California boat cards, licensed boaters. And it brought me right back to sixth grade, right with him. I mean, we’re both just making each other laugh. We had to leave the room. We were biting on something just so we wouldn’t laugh in front of these older, super nice coast guards. Jack Butala: I know. It was awful. Jill DeWit: So glad I wasn’t there. Jack Butala: Before I get into our topic, let’s take a question posted by one of our members on the JackJill.com online community. It’s free. Jill DeWit: That’s a nice little insight into the kind of student that you are or were. Jill DeWit: And apparently still are. Jack Butala: I was a class clown, start to finish. Jack Butala: You were, too. I know you were. Jill DeWit: I know. But I don’t do that any more. Maybe. Jack Butala: When was the last time you sat in a class? Jack Butala: How do you know? That was the first class I sat in in 30 years. Jill DeWit: You know, I’ll tell you why. Last class I sat in was years ago at a real estate school when I was getting all the knowledge for that. Jack Butala: That makes me want to stick needles in my eyes. Jill DeWit: Right? But I did. But no, now I’m the geek. I’m sitting up straight, I’m taking notes, I’m asking questions. I’m sitting in the front. I have become that geek. So, anyway. Jack Butala: That’s too bad. Jack Butala: I’m glad I wasn’t there for that. Jill DeWit: No, yeah. There you go. Jack Butala: Oh, I would’ve made you laugh. Can you imagine us taking a class together? Jack Butala: I would’ve pulled your hair. Jill DeWit: Well, it’s like every single time we’re in a seminar. Jack Butala: It’s like a girl that I like. You’re a girl I like. Jill DeWit: Thank you. Any time we’re in a seminar or a group meeting, that’s exactly what, thank you, that’s exactly what goes on. You’re sitting there writing funny things down and saying, “Can we go now? Can we go now?” That’s what you do. Jack Butala: We went to a national podcast thing in Anaheim. Jack Butala: Use it for how we see it should be used, you know? Jack Butala: Five days might be perfect to other people. Three days is good for us. Jill DeWit: Or one, if it’s with you. Jack Butala: Or not at all. Or maybe we change our mind right at the last minute. Jill DeWit: Yeah, we’re not going. Jack Butala: And decide not to go. Jack Butala: Ding ding. There’s lots of ways to do an option agreement. Go ahead, Jill. That’s the big important part. Jack Butala: I’m gonna talk about that in a minute. You never want to represent somebody, ever, and you never even want anyone to have this thought, that you’re representing them in the purchase or sale of their real estate. That’s not legal. Jill DeWit: That’s the wrong way. Jack Butala: That’s what real estate agent’s licensing is for and you do not want to cross those people. Jill DeWit: Right. So, okay. “Additionally, I could secure a third buyer and before receiving payment, go ahead and buy the property from seller number one. That would seem to undo the need for an assignment agreement, because I’m buying before selling.” No. Jack Butala: Somebody went to school. Jack Butala: Okay. So, let me paraphrase, if I may, Jill. Jill DeWit: Oh, please do. Jack Butala: The first way he mentions is kind of the formal and school way. You find a guy who wants to sell a piece of dirt for $10,000. You know it’s worth $20,000. You have him sign an agreement that says that you are gonna purchase the property, but you’re gonna market it and stuff and when you find a buyer, you’re gonna do the deal, and he signs it. And he thinks that’s a good idea. And so do you. And you go market it and you find a buyer for $20,000. The $20,000 guy sends you $20,000, or sends the escrow agent $20,000, and you complete two deeds, one deed that conveys the property from the $10,000 guy to you, and one deed that conveys the property from you to the $20,000 guy, and you record them both just seconds apart. You send them both in the same package. That’s an option agreement. The second way is what Jill and I do, is just buy the property. There’s no option involved at all. You know that you’re gonna sell it for $20,000. If you don’t know you’re gonna sell a $10,000 piece of property for $20,000, don’t buy it. Don’t option it. don’t horse around. So, the first way, you need to make sure that it’s recorded in your name, even if it’s for just seconds. Even if you’ve owned it for just seconds. Jill DeWit: That way it proves that you’re not representing the person. Jill DeWit: You’re not just in the middle there. Jill DeWit: It doesn’t go from A to C, and they don’t even know each other. You know, or of each other. Jill DeWit: Can I, I want to back up on the first one, though. It’s not, some times I think we’re creating more work for ourselves. We don’t have to make it this difficult. And I’ve done this many times, this conversation is not hard. “Look, Mr. Smith. I’m happy. I would buy your piece of property right now for $5000. Done deal. I have the acquisition funds. I can pull this trigger. I can do it right now. $10,000 is too much right now. I don’t have that much funds,” or whatever the reason is that you’re not acting on it, kind of thing. Jack Butala: That’s how you go to prison. Jill DeWit: No, but maybe I’m saying it the wrong way. Guess I’m using the wrong terminology here. All right, Jack. Jack Butala: I appreciate your sentiment, I really do, Jill. Jack Butala: And it is, we have all done some version of that, but documented that is not the case. Jill DeWit: Using the wrong words. Jack Butala: You want to make sure that you tell the person that you’re buying it. You’re the buyer. And maybe you’re, you might’ve signed the contract, but the net effect to them is that yeah, “We’re not representing you.” You want to make them sign that, too. Jill DeWit: Which is true. Jill DeWit: All right, I’m using the wrong terms. Never mind. Jack Butala: Yeah. That’s all. Jack Butala: I really want to clarify this, and I had the producer choose this question intentionally. Jill DeWit: ‘Cause it is confusing. Jack Butala: It’s causing some problems, in a very isolated way, people are really asking like, “What? What do you mean?” And so Jill’s right. It’s not complicated. But it does have to be complicated. Jill DeWit: Well, you bring up a whole other point, and I see this, ’cause I see this in other online communities, too, where people don’t really understand what the definition of a wholesaler, and they don’t understand the definition of this and that, and stuff. So, the best way is really to keep yourself out of trouble and like Jack said, buy the dumb thing. Jack Butala: Buy the darn asset. Jill DeWit: And if you can’t afford it, work it, ask the guy how urgent it is. If it’s urgent, go find somebody with the money. Again, this is not hard. Jack Butala: That’s really the best advice. Jill DeWit: And then B, if you can’t afford it right now, I mean, there’s nothing wrong with telling people, and we have done this, “I will have the funds January 15th,” ’cause you know you’re gonna sell some whatever stuff. Say you have things going through the works right now. Jack Butala: Right. A lot of ways to do it. Jill DeWit: If you tell the guy and you can work out an agreement where, “I can act on this day. Does that work for you?” Fine. Or say, “Look, I can afford $5000 right now, or $8000 on January 15th. Which would you prefer?” Let him decide, too. Jack Butala: So, put all that aside for a second. The whole point here, forget about legal anything and deal structure. The whole point is for you to be independently wealthy here. So, if you know how to buy cheap real estate, or undervalued real estate, get yourself a money partner and eat it for a while. “Damn, I could’ve made $10,000 on that deal. I only made $5000. If I only had the money myself.” You only have to do that for a while before you start to have your own money, and all the while you’re practicing with someone else’s dough, by the way. You’re gonna completely be in total compliance of the law in the local rules, accumulate a bunch of money, eat a bunch of ramen noodles for a year, and then you’re in business for the rest of your life and you don’t have to use anybody else’s money. Jill DeWit: I would like to add, this is more common than people realize, more often than not when people get into this and they learn about us and they start sending out mail, they often have more deals than they have money. And it’s so great, because I think that’s one of the things that people come into this fearful of, like, “Oh, gosh. I’ve been struggling finding deals. Does this really work?” And then in five minutes, after one mailer, they go, “Never mind,” and they don’t say that ever again. Jack Butala: They call them lurkers. Jill DeWit: Yeah. There’s so much. You won’t, finding the deal is not hard. Jill DeWit: If it is, you send out more mail. Jack Butala: The concept of 24 month millionaire. Jack Butala: So, I’m not sure that you should be a doing a $10,000 deal anyway, if you don’t have the money. Jill DeWit: True. Do a $3000 deal. Or a $2000 deal. Jack Butala: Yeah. Do a $3000 deal ’cause you have the money, sell it for $6000. Put the $3000 back wherever you got it. Maybe it was your personal savings account, maybe it was from your mother-in-law. Now you’ve got $3000 of profit margin that you made off your mother-in-law’s $3000. Jill DeWit: Do it a couple more times. Jack Butala: $3000 turns to $6000. $6000 turns to $12,000. $12,000 turns to $24,000, and on and on an on. Right? Jack Butala: Am I oversimplifying? Yeah. But some version of that, if you set your mind to it and get it into a calendar, is gonna happen. You will end up with a lot more than a million bucks at the end of 24 months. If you just roll with it all the way through. So, this business of options is just what it is. It’s an option for you to buy property, but is it the best option? Some times, but not for us. Usually it’s not. Jack Butala: And I’m trying to clarify that really clearly. Jack Butala: It sounds cool. “Oh, you don’t need any money to be a real estate investor.” You really don’t. But you want to stay in compliance no matter what, and you want to do stuff right, even if it does, if it means making less money. Jill DeWit: Or taking a little more time. Jill DeWit: I’m okay with that, too. I took all the time, save up, do it right. Jack Butala: Hey, it’s all out there. The deals are out there. You just gotta get organized and get in front of the right people. Jack Butala: Get in front of the right sellers and get in front of the right money people. Jack Butala: Today’s topic, houses versus land. A number of parcels comparison. So, what does that mean? This is the meat of the show. In any given county, there’s X amount of parcels in an assessor’s database, and he really looks at that closely because that’s what this treasure sends tax notices out on every day. So, in any given county, there’s lot of different types of property. There’s vacant land. There’s land that’s like in between two houses, which is called an [inaudible 00:16:14] lot. There are single family houses like we all know, one piece of property and one house on it. There’s attached houses, like condos. And that can be set up in all different ways where there’s one assessor’s parcel number for 10 properties on one piece of land, one piece of parcel, one parcel where they could be separated, depending on where you are in the country. There could be a mobile home park that’s got 100 units in it on one parcel where you’re renting, or it’s got separate APNs. You get my point. And then there’s two unit apartments, duplexes, quads, and on and on and on. And then it goes up from there. Jill’s falling asleep. Jack Butala: There’s strip malls. Commercial property. You’re getting very sleepy. Jack Butala: Here’s the numbers. Jill DeWit: Don’t fall asleep. Jill DeWit: We don’t talk about it. And now we are. Jill DeWit: Ramp this up. Jack Butala: Here’s the numbers. There’s 150 million properties in this country, give or take. There are 90 million houses, single family residences that are either detached or attached. Jill DeWit: Is that included in the 150 million or separate? Jack Butala: There’s 90 million of those, and it’s included. Jack Butala: 90 million of the 150 million, which is almost 62% are houses. There are livable structures on them. That excludes the following, mobile homes, apartments, all of that. Excludes everything. This is just houses and condos. Jack Butala: So, what does that really mean? Well, let’s just use Los Angeles for example. In Los Angeles, there are, I’m pulling up [inaudible 00:18:34] while I’m talking, 2.4 million properties, give or take. Jill DeWit: 2.4 million. That’s a lot. Jill DeWit: Which is the biggest? You’re gonna get to that, I’m sure. Jack Butala: Well, there’s 2.4 million in LA County. There are, of those properties, almost 1.5 of them are either houses or condos. Jack Butala: That leaves the remainder, the balance of that, is almost 950,000 pieces of property. So, there’s way more developed addresses and opportunities, let’s call them, for us as investors. There are more houses and more condos to flip, for lack of a better description, than pieces of land. Think about how successful we are. We’re about to triple that. That’s my point. Jill DeWit: It’s really true. 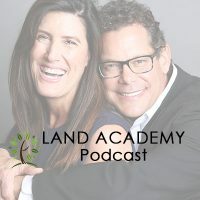 Jack Butala: To release this Land Academy program. Jill DeWit: It’s actually true. Jack Butala: I’m just being real straight here. Jill DeWit: The emails that we’re getting, I’m like, “Okay. We’re working on it.” This is like Land Academy all over again. We’re getting there as fast as we can. Jack Butala: I get pre-purchase orders, actually. Jack Butala: So, my point, that’s not, the point of this whole topic is not to sell anything, it’s to just look at the data, the raw data. Jill, dream up a county anywhere, state or county. I did the whole country. Jill DeWit: Tarrant County, Texas. Jack Butala: How do you spell it? Jack Butala: There are 644,000 properties there, all types of properties. Jack Butala: 400,000 of them are houses. Single family residential or condos. That leaves 248,000 properties left that are actual land. Jill DeWit: What’s the percentage there? So, what’s the number? Two to one? Three to one? Jack Butala: I didn’t calculate it. Jill DeWit: Okay, no. All good. Can I ask you another county when you’re ready? Jack Butala: Sure, go ahead. Jill DeWit: Dade County. D-A-D-E. Florida. Or Miami. Or Miami [inaudible 00:20:47]. Some of the biggest that I know. Jack Butala: -houses. We’re missing way more than 50%. We’re missing 60% of the opportunity. Jill DeWit: This is phenomenal. Jack Butala: That’s the point of this. The source of our data is the census bureau, plus there’s some college or university. Jill DeWit: Isn’t this amazing? So, here’s one of my takeaways. Jack Butala: I need to properly disclose this. Go ahead. Jack Butala: I couldn’t agree more. Well said. Jill DeWit: -on the planet. We’re all just doing just fine over here doing land no problem. Jack Butala: Everybody’s equal [crosstalk 00:22:09]. Jill DeWit: We have people all over the world, we’re all putting food on the table, not a problem. And now we’re gonna make it, now we’re taking this to be, but something that’s potentially even easier, ’cause there’s more fish in this little pond, you know, of properties. Jack Butala: Every retailer you talk to or anybody who, I come from a healthcare background way back, when anybody has four or five products that they sell, they all sit around, the owners at the end of the day, people say, “Wow, that product X it rocks. That product A, whatever. But X, if we just had X, if we just could sell X and get rid of A, oh, but we need A, ’cause it attracts people to X.” Okay. Let’s keep A. But X rocks. People at Walmart do it … if you have multiple, if you have five apartment buildings, you have an X apartment building that rules and no one ever complains and you just collect a check every month. Then you have an A apartment building that you just wish you could kill. Jack Butala: That’s my point here. Jack Butala: Land for us has treated us really well, and it’s not past tense. It continues to treat use well. Jill and I just bought a property in Pennsylvania, it has like right out of a postcard. Jill DeWit: It is. It’s pretty. Jill DeWit: It’s really pretty. Jack Butala: It’s got two roads on it with a creek running through it. It’s picture perfect. Anyway. Land is great, but why not have a product A and a product X. We’re not losing money. Jack Butala: Let’s add some products to it. Jill DeWit: Exactly. It’s just gonna be even easier now. Jack Butala: It’s a logical extension. Jack Butala: The guy that put these numbers together, his name is John G-R-U-M-B-I-N-E, and he creates custom tabulations based on census data, and he put this all together using something called ACS, American Community Survey, from 2014. So, it takes 2010 data, the census is every 10 years, the next one is 2020, and then he updates it through that. And it also uses something called PUMS, Public Use Microdata Sample from the US Census Bureau. Is that enough disclosure? Jill DeWit: I think it is. Man. Do you want to put his phone number, too? Jack Butala: No, I’m just, and we have no affiliation. Quite honestly, I took his numbers from there and then went to town. I went nuts on them. Jack Butala: So, it’s not just his. It was his basic data and the census data, but you should see the spreadsheet here, Jill. Jill DeWit: Yeah. I see it. Jack Butala: I’m not horsing around. Give me another county. Jack Butala: How about Maricopa where Phoenix is? Jill DeWit: Okay. That’s a good one. Jack Butala: Maricopa, Arizona. 1.6 million properties total. Jack Butala: 975,000 of those have houses or condos. The remainder is 600,000. Jill DeWit: You just … based on the numbers you just gave me, it sounds like Maricopa County and LA County rival each other in size here with the properties. It’s staggering that there are that many in Maricopa. Jack Butala: Yeah. LA’s way bigger. Jill DeWit: Oh, two. Okay. I guess. Jack Butala: Maricopa County’s still the wild west. Jack Butala: It’s not even close to being subdivided the way LA County is. Jill DeWit: What about, give me … Seattle? Jack Butala: Well, let me go to Mojave County for a second, ’cause Jill and I have literally made millions and millions of dollars from Mojave County. It’s the example that we use all the time, the standard for land acquisitions and sales, it has been from the ’90s for us. We don’t do as much there any more, but every time we use an example in our education program, we use that county. There’s 260,000 properties there, which is a drop in the bucket. Jack Butala: 160,000 of those are houses or condos. And 100,000 properties are land. Jack Butala: We have been killing it. Jill DeWit: Well, with the 100,000 properties. Jack Butala: How many times can you send the bucket down the well and pull it back up and it’s full? Jack Butala: And then it just keeps getting full. Jack Butala: Now the bucket’s gonna get that much bigger. Or we’re gonna have three more wells. Jack Butala: Have I made my point? Jill DeWit: Yes, you have. Jack Butala: Awesome in a true sense of the word. Jill DeWit: I love it. That was good. Thank you for sharing that, Jack. Jack Butala: Well, you’ve done it again. You’ve wasted 25 minutes listening to the Jack and Jill show. Join us tomorrow where we discuss ramping up acquisitions for 2018. It’s almost that time. Jill DeWit: Yay. And we answer your questions, should you have one posted on JackJill.com. Go there and find our online community, it’s free. Jill DeWit: Okay. So, that wasn’t as boring as I thought it was gonna be. I’m like, I want to play Guess this County. I want to play like it’s like, I keep wanting to do more counties and more counties. What is Seattle by the way? Jack Butala: Give me some more. Jill DeWit: I don’t even know what county … Seattle Tacoma Seatac, so I’m not sure. What is the name of the county? Jack Butala: I’ll find it. Jill DeWit: Cool. Yeah. I don’t know. Jack Butala: It’s a good thing this is the after show. Jill DeWit: Exactly. County. King County, Washington. I did not know that. Jack Butala: You’re gonna have to cover for me here. Jill DeWit: I am, that’s all good. Jack Butala: Go ahead, talk. No, no, not with that. Jill DeWit: I’m sorry. Okay. King County. I’m trying to think of another one I want to ask you. It covers, population was 2.1 million in King County. Jack Butala: Seattle is 610,000 properties. Jack Butala: This is King County. Jack Butala: 375,000 ish are houses. Jill DeWit: So, based on your numbers there, as you’re eyeballing, does it seem like two to one? Or is it all over the place? Jack Butala: Well, it’s hard to say. So, I’ve applied a bunch of, I’ve liberally applied assumptions. Jack Butala: But my whole, and thank you. That’s a great, I should’ve disclosed that in the regular show. The number of properties, the number of parcels is pretty accurate. The number of, I’ve applied a national statistic based on how many houses and stuff like that to each market, to give you an idea. Jack Butala: So, yeah. Two to one is a great number. Jack Butala: The more urban it is, like LA, the numbers are gonna be higher. Jack Butala: There are gonna be more houses. Jill DeWit: So, it’s more, they might be three to one, which is awesome. Jill DeWit: Or four to one, or something ridiculous. Jack Butala: That’s right. Which works, again, works in our benefit, ’cause we usually target more rural counties for land and more urban counties for houses. So, it’s the best of both worlds statistically. You can’t lose here. Jill DeWit: I know. Listen to this, too. How lucky is it for the people in our world, ’cause they’re gonna know how to do both. It’s insane. Jill DeWit: There’s no stopping us. Jack Butala: After the end of the program, after that, probably 2019 will be all about commercial, which is where I cut my teeth. Jill DeWit: This is gonna be so fun. Jack Butala: So, commercial’s a whole different thing, but geez, you can make some dough. Jack Butala: My dad retired on one transaction. He bough an office warehouse office building. Jack Butala: One transaction, the rest of his life. Jill DeWit: Jack, you know what’s interesting? I bet we have people in our community right now that could do that, but they choose not to. Jack Butala: We have a lot of professional commercial real estate acquisition people that are doing this on the side for themselves. That’s what I did. Jill DeWit: You know what I mean? You know my point? I can name a few people right now that could be done and out and retired and happy, but they’re just like, “Oh, no. Now this is fun.” You know? It’s like, “Bring it.” They could be retired. Jack Butala: I don’t know what I would do in retirement except this.